Here’s Loki, the Goddess of Chaos, as you’ve never seen her before! Based on the character interpretation and illustration by master illustrator Shunya Yamashita, Loki’s signature horned helm and emerald scaled armor emanate beauty that rivals the lady herself. 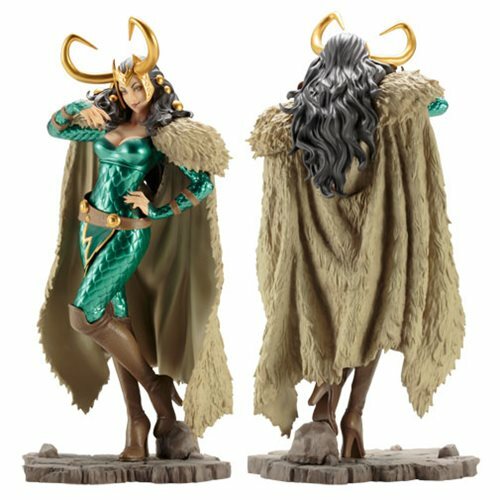 The Marvel Lady Loki Bishoujo Statue measures just under 10-inches tall in 1:7 scale.